I made these 10 simple napkins today. My family has been using cloth napkins - mostly home made ones - for about 20 years. Estimating low, that is over 30,000 paper napkins that were not used and not thrown in the garbage. I wash them with our towels, and they don't change the number of towel loads of laundry either. And cloth napkins are fun. But eventually they wear out, and I've been meaning to make more. When I found this bundle in my stash today of linen mochi dot by Moda which is 100% cotton but feels like linen, I decided it was a perfect match. I cut 16" squares. I folded and pressed the edges over at about 1/4" twice. Then I sewed two opposite sides and then the other two sides. I used my walking foot as the corners are thick. I'll wash them in the morning and give them a press and they will be ready for dinner tomorrow. We could use some more too, I'll look for another fabric choice tomorrow. I was giving my sewing space a major tidy and reorganizing today. Maybe I will finish tomorrow and share some photos here - there are a couple on instagram if you want to see sooner. 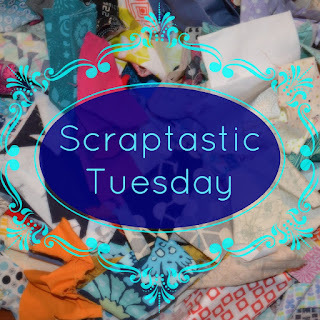 Don't forget to join Nicky from Mrs. Sew and Sow and I for the February Scraptastic Tuesday link. You have until 10 pm MST on Monday night to join us. Go here to link up your scrappy project. 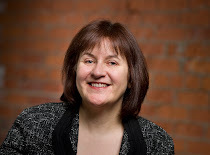 And, I'll tell you more on Monday, but I have organized some great giveaways over the next month to celebrate my 5 year blogging anniversary - on March 12 - and some other internet milestones too. I love them too. so fun to use up a fabric to cheer up a meal. They're so pretty and fun, I must make some for my crew. We almost exclusively use cloth napkins too, though for some reason I've rarely made them except for special occasions. Next time we need some tho!! These are lovely! We only have serviettes /napkins for special occasions like Christmas though - I think that's a British thing only to have them for posh meals! Great idea! VEry pretty fabrics for this! Do you have to iron them every wash, Leanne? Pretty napkins. I've got some older fabric I'm going to do this with. Have you ever sewn two pieces together and turned them so both sides are finished? I was wondering about this or whether a simple hem is better. Obviously uses less fabric so that might be what I do. I LOVE those fabrics! 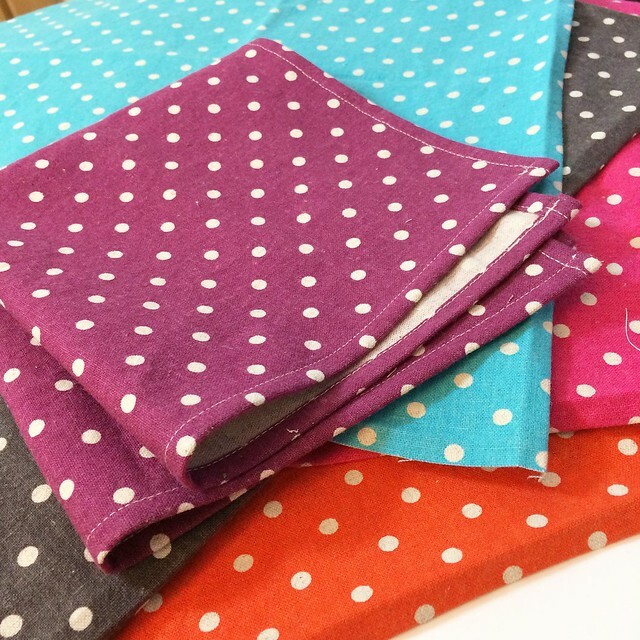 I've made cloth napkins in the past and need to make some more. 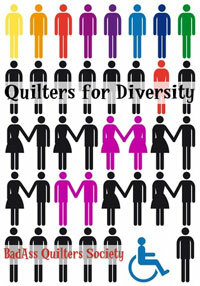 Maybe I should make some mix and match ones from yardage in my stash that just can't seem to find a place in a quilt. 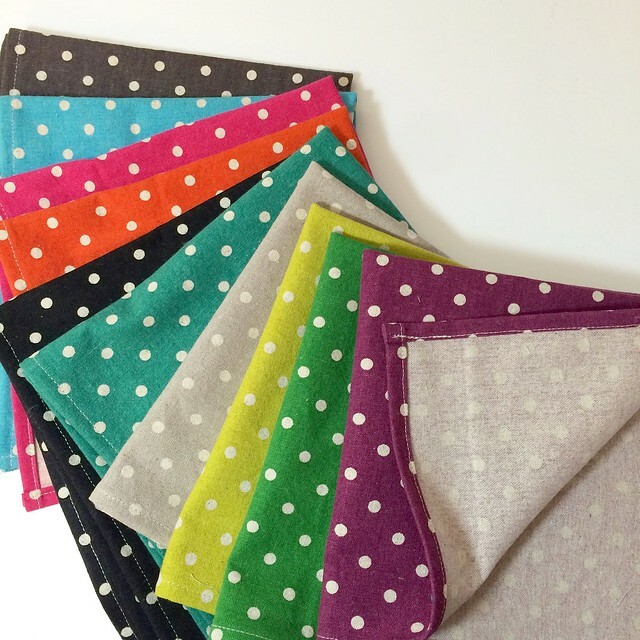 I'm pleased to see that there're other folks out there who like to use cloth napkins over paper ones, your polka dots are lovely and bright. Leanne, THANKYOU! You made my day w/this post as I have some fat quarters stored up that were perfect for cloth napkins. Now I have leftover scraps too which I'm slicing into 1/2" strips and knitting a rag rug. Congratulations on your anniversary!! Keep up the great work!! Always fun to see your napkins, and I love using linen for our napkins, too. 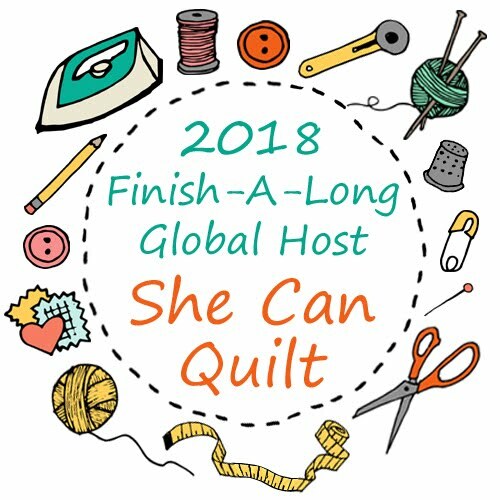 Sometimes when I get to those corners, I anchor the stitch, then sew right off the edge, leaving a thread trail, and pulling the napkin away from the needle to get an longer thread trail--one I can loop around my finger. Then I do the folding the edge thing, put my needle into position, anchor the stitches, and using the thread loop, start sewing, pulling the corner as I go. Trim threads at the end. It always leaves a nice corner that way. (This is a trick from my college days in my CloTex classes.) 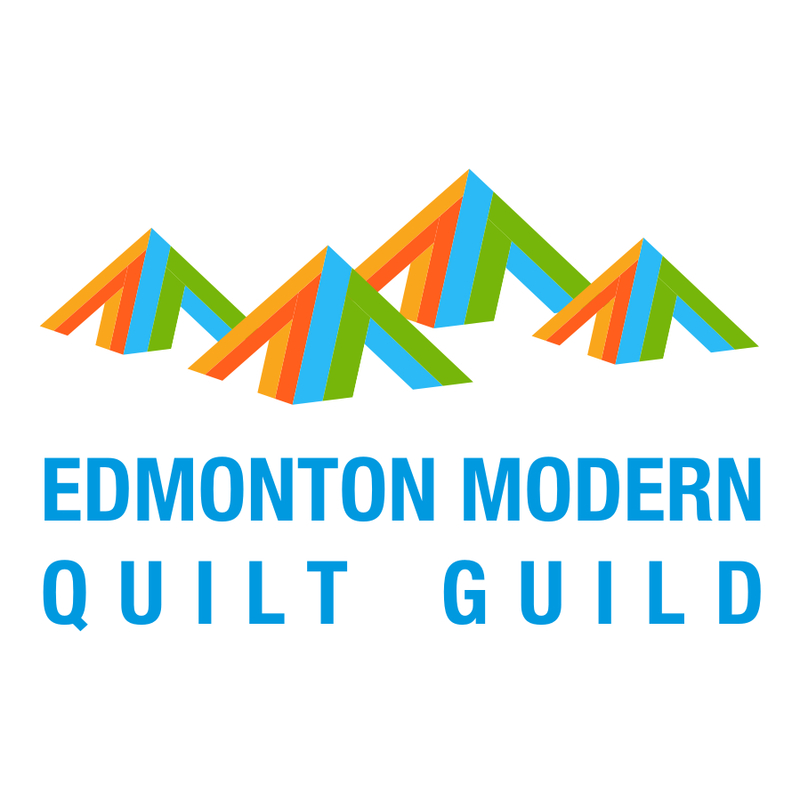 See you at QuiltCon!